We know figs are remain a very popular fruit in the United States, but did you know that it was the abundant vitamins found in figs that motivated a Philadelphia baker in 1851 to produce a machine that could stuff the nutrient rich fig jam into pastry dough. 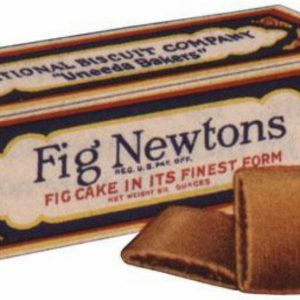 Do you like Fig Newtons? Well, as a kid, they were my very favorite cookie, er, nutritional snack! Delivering what the community needed led a baking company to buy the machine and the cookies were a huge success. The town they were first produced was, you guessed it, Newton, Massachusetts! God wants us to nourish our mind, body, and spirit. This week, let’s read more, exercise more, and eat nutritious foods. And to feed our spirit, read God’s word where we can know that Jesus loves you and wants to fill your life with joy!